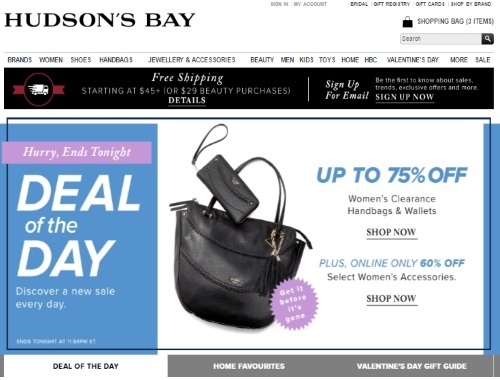 Hudson's Bay's Deal of the Day today is up to 75% Off Women's Clearance Handbags & Wallets! Plus save 60% off select Women's accessories! Offer is valid today only, Thursday, February 9, 2017.